CWSC® has been providing exceptional service to our computer extended warranty service plan customers for over a decade. Our customers have been telling us for most of those years that they wish they could find the same type of service offered with the CWSC® extended warranty service plans for their computers that no longer qualify for a warranty and even more importantly, since it is even more important to them than the computer itself, protection for their business and personal data. Computer Warranty Services Corporation LISTENED and has RESPONDED! Computer Only Plan The plan includes hardware performance monitoring, and managed business class antivirus software for a maximum of two computers. 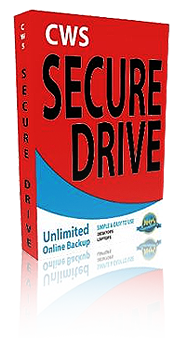 One account for CWSC SecureDrive© Unlimited Online Data Backup, which will support backing up data from a maximum of two computers. Computer Only Plan Plus Upgrade Upgrade Computer Only Plan to Computer Only Plus Plan - includes everything in the Computer Only Plan with the addition of: Business class monitored antivirus protection; which includes free removal of any infection that occurs while using this software CWSC SecureDrive-Plus© Unlimited Online Data Backup. This adds the ability to upload data directly from your smartphone or tablet, 512 GB of permanent online storage, sync data between computers, share data with others without emailing large files, will support backing up data from a maximum of two computers. Premium Plan The plan includes hardware performance monitoring, and managed business class antivirus software for a maximum of five computers. 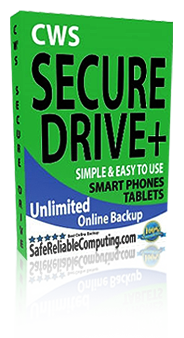 One account for CWSC SecureDrive-Plus© Unlimited Online Data Backup, which will support backing up data from a maximum of five computers, sync data between computers, 1TB of permanent online storage in addition to unlimited data backup.